Dr William Roper, Director of the Strategic Capabilities Office at the Office of the Secretary of Defense, and members of his staff visited the Aberdeen Proving Ground laboratory to see the joint tactical aerial resupply vehicle (JTARV). Also known as the ‘hoverbike,’ the vehicle may one day make it possible for soldiers on the battlefield to order resupply and then receive those supplies rapidly. Researchers envision a future JTARV flying low to the ground or at thousands of feet at speeds of 96 km per hour or more. “Anywhere on the battlefield, soldiers can potentially get resupplied in less than 30 minutes,” said Tim Vong, Associate Chief of ARL’s Protection Division. He likened the concept to ‘Amazon on the battlefield.’ “We want to have options like that,” Vong said. While the current prototype is electric, researchers are looking at a hybrid propulsion system that could dramatically increase range. 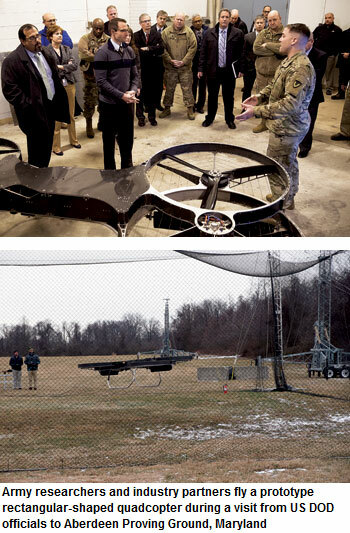 The JTARV is now a joint effort with the Marine Corps, led by Army researchers, at the Army Armament Research, Development and Engineering Center (ARDEC) at Picatinny Arsenal, New Jersey; however, the Army Research Laboratory researchers still serve as subject matter experts on aeromechanics, assessment, analysis, propulsion, intelligence and controls and materials and structures. “The project is successful because we went from concept development to engineering evaluation in collaboration with all various government agencies and industry,” explained Ernesto Garcia Lopez, ARDEC. 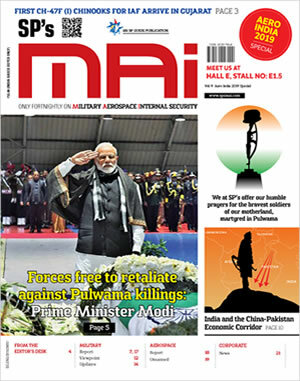 “The demo we saw was a unique opportunity for us to show a seamless transition between one army organisation and another army organisation and having the industry along the whole time,” he said. In addition to other industry, government and academic partners, the JTARV project is teaming with the Office of Naval Research. Researchers hope to demonstrate full autonomy in the near future, Vong said. “I think the visit was a great success. It gave us an opportunity to showcase to Dr Roper ideas and also the progress we’ve been making in exploiting commercial UAS technologies,” Vong said. The ARL is part of the ARDEC, which has the mission to provide innovative research, development and engineering to produce capabilities that provide decisive overmatch to the army against the complexities of the current and future operating environments in support of the joint war-fighter and the nation. RDECOM is a major subordinate command of the US Army Materiel Command.